This is an in-depth study of color and the aura for the serious minded individual. 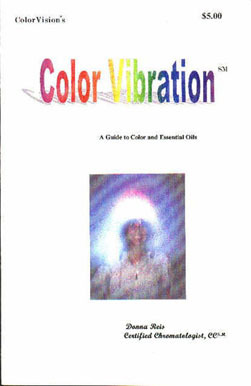 COLOR, Auras & Energy Guide Book will answer questions you may have like “How would I see my aura?” Or, “What do the colors of the Auras mean to me. 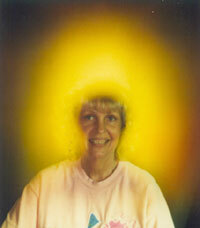 If you answered yes to the above questions then this easy to follow guide on how to see and feel the aura is a must have. Explains what the size, shapes and colors represents. 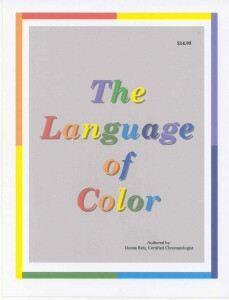 Language of COLOR explains personalities, careers, health, relationships, and life styles through color. Want to learn how to communicate with your clients, family and friends in a more positive manner? Understanding the COLOR of their personality will give you the insight you need to be a good listener. Would you like to increase your income, find the perfect career that fits you and your personality? The Language of COLOR is a must have book as it will empower you, giving you the tools you need for more happiness and abundance in your life. combining the power of COLOR and ESSENTIAL Oils makes for a gentle and effective way to heal the emotional, mental and physical bodies. This is a simple handy book that will give you a basic understanding of how to incorporate COLOR& ESSENTIAL Oils into your everyday life. The guide also lists what color vibrates to a specific essential oil. It includes the color complement for each essential oil. 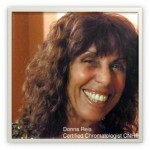 The guide will discuss when to use a color and when to avoid it. Great little reference guide for COLOR/S and essential oils. 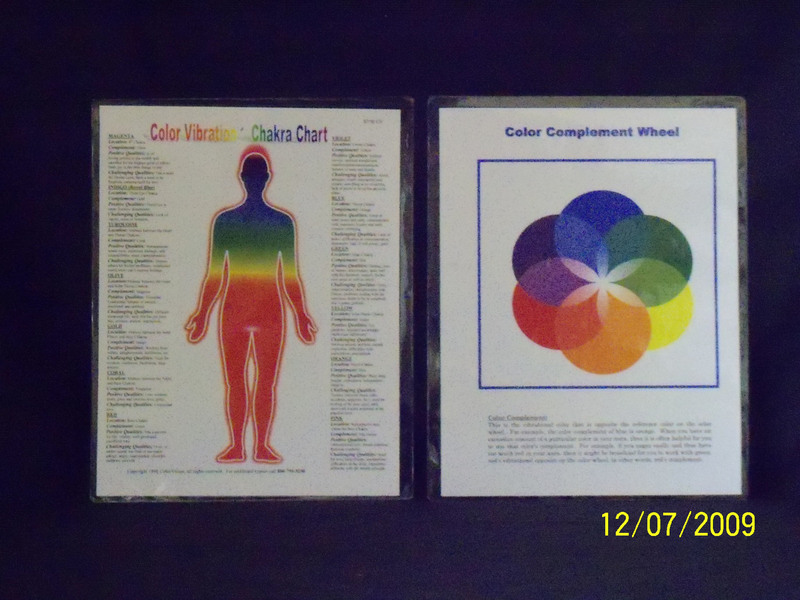 COLORVibration® Chakra Chart & Color Complement Wheel is an informative double-sided chart, on the Chakra side there are 12 colors listed. The chart lists the location, complement color, positive qualities and challenging qualities of each Chakra. The Color Compliment wheel is a great reference tool located on the back side of the chart. 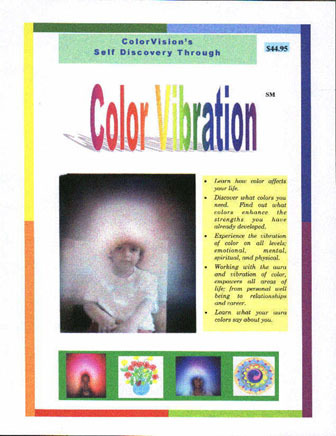 COLOR Vibration® Color Guide Chart is an informative chart listing the complement colors, positive qualities and challenging qualities with suggested remedies. 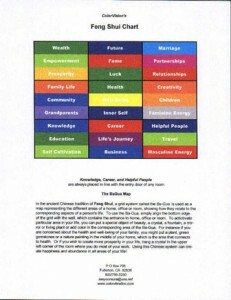 COLOR & Feng Shui Chart & Guide to Feng Shui Booklet is a simple chart explaining a grid system called the Ba-Gua. The Feng Shui guide suggests colors to work with, in order for you to manifest the positive side of those grid areas. Easy to read with guidelines for Feng Shui of your home or office. 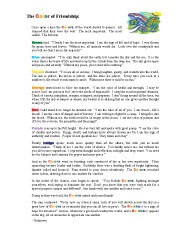 COLOR of Friendship Chart is an exciting chart using color for positive affirmations, this chart is also an excellent guide on color for teachers. 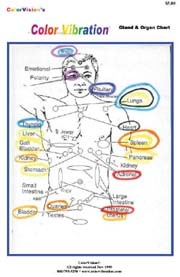 Gland & Organ COLOR Chart is an informative chart showing the color of each gland and organs.